1886 Foundation of the Tannery in Stuttgart through Martin Christian Gerecke. 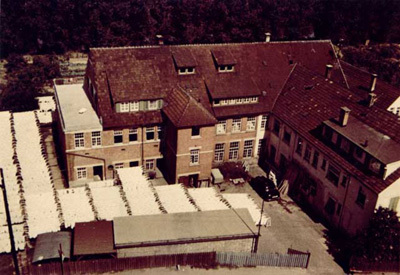 1896 The Tannery moves to Esslingen am Neckar. Production of glace grain leather for gloves. 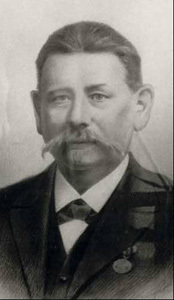 1918 His son Martin Karl is owner of the company. Expansion of the company because of gloves business in America. 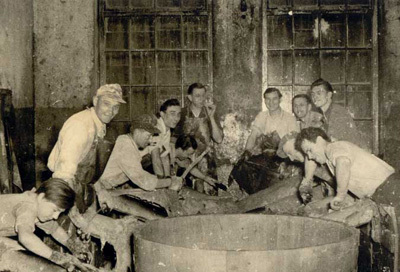 1941 The company is one of the leading tanneries in glace tanning. During world war the company is closed by order of government. 1946 Re-opening of tannery after world war II. 1961 The two sons Martin and Ernst Gerecke are new owner of company. Not only leather for gloves, also leather for garment and shoes are produced in Esslingen. 1986 100 years jubilee. Environmental improvement: new clarification plant. Gunther Gerecke new general manager of Gerecke-Leder GmbH&Co. 1999 Expanding of production of American White tail deer for garment, gloves and shoes on the international market. Uta Rabe is joining the company. 2000 Production of high quality leathers from deer, lambskins and goat is also continued in the new century.